Below I give you a short guide on starting a successful trading signals service, but before you start reading that I want to give you a reason to start this business in the first place. Forex Trading is a great way to make money. It allows anyone in any part of the world who is knowledgeable about the currency market to earn. It’s a lucrative business that gives both time and financial freedom. As the market runs 24 hours, 5 days a week, it has almost no time restrictions and will allow you to be your own boss. It offers the most luxurious possible lifestyle a profession could have. However, Forex trading is not an easy business to become successful at. A Success in this business doesn’t depend only on having a profitable trading strategy. It depends mostly on your consistence, mindset, and how you think or react to market changes. Most importantly, your success is determined by how you manage your money and emotions. Studies have shown that the most successful traders are the ones who develop and actively master a very potent trading strategy. Effective traders are also those who know how to time and interpret the markets. For example, some of the greatest losses occur during the Asian trading session in the afternoon of the US trading session. The reason for this is typically because the volume is lower after the European session has exited and there are very few traders active between the end of the US session and the beginning/first few hours of the Asian session. This typically represents a period of low volatility each day. It can make finding profitable trends more difficult than at other times are the trading day. This is just one example of how it takes experience and sound judgement and patience to trade successfully. While the markets are open 24 hours a day during the week it does not mean that the markets are profitable 24 hours a day. The Asian trading session can sometimes have rather flat price movement. The Forex trading journey has also till-date proven to be endless, as new ventures that present ways to maximize and broaden every trader’s money making potential are spawned on a daily basis. And the most successful traders continue to be successful by taking on every next level advancement in their trading career, from PAMM (Personal Allocation Management Module), SuperTrader (FxPro’s most recent development), EAs (Expert Advisors) and today’s consideration; Copy Trading (signal or social trading). Many institutions are built to manage other people’s money or provide trading signals to other traders. With these new emerging trading businesses, smart investors or traders don’t need to experience the anxieties of trading. They opt to capitalize on the trading skills of successful traders without even the need to understand how the strategy works. It is a stress-free trading method which can have the trader off on vacation on an island somewhere only checking his laptop or mobile device to see how well his money is doing. Copy Trading has provided the formerly unavailable unique opportunity for traders to maximize the potential of his/her money by using the trade signal of one or more traders who have a successful history of trading and using directly or modifying their positions with his own parameters to gain off their expertise. Clever traders have turned this method into a hugely profitable venture by selling their profitable trading strategies to other subscribing traders through already existing copy trading web platforms. Also, they can generate more revenues by creating their own website. Having 100 or more clients paying a small monthly subscription fee of $100 could provide $10,000+ profit per month on fairly profitable trading strategies, which may have not been able to make you that much. That’s just a tip of the iceberg as to how lucrative this business can get, other signal providing web platforms like signal trader average over $100,000 monthly selling trade signals to both individual traders and corporate ventures like hedge funds and asset management portfolios. The signals trading business is one that is at its youth of evolution and is still yet to reach its prime, you can come together as a group of statistically- and resourcefully-versed individuals, be not so good at Forex trading and hire a bunch of experts to do all the work for shares of the profit. Or you can pull-it-off as a one-man army armed with all necessary skill-set needed to propel any forex trading account to its zenith. 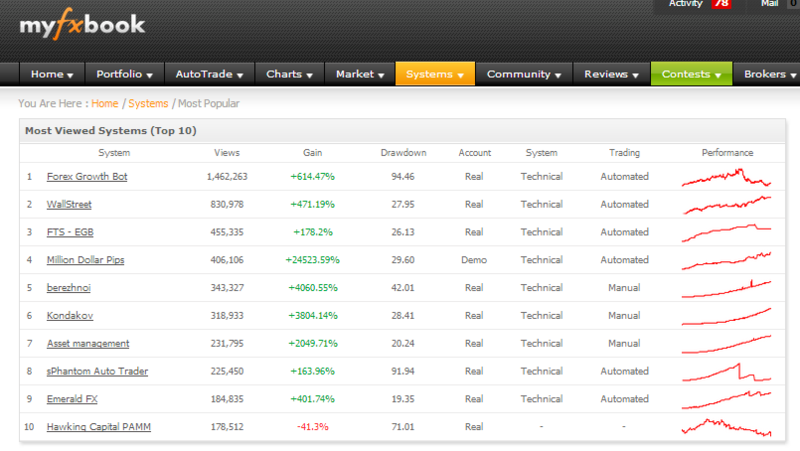 You can see in the image below just a glimpse of signal providers and systems that are tracked here in the ‘most popular’ on MyFxBook.com. There is little wonder these are some of the most popular systems on MyFxBook.com with these kinds of returns! Some of these are available to autotrade here on MyFxBook.com. Surprisingly, you don’t need to be successful in trading to start your trading signals business. There’s no need for a huge staff to manage it either. You can do it alone with your forex robots or with several partners to provide trading signals for a fee. 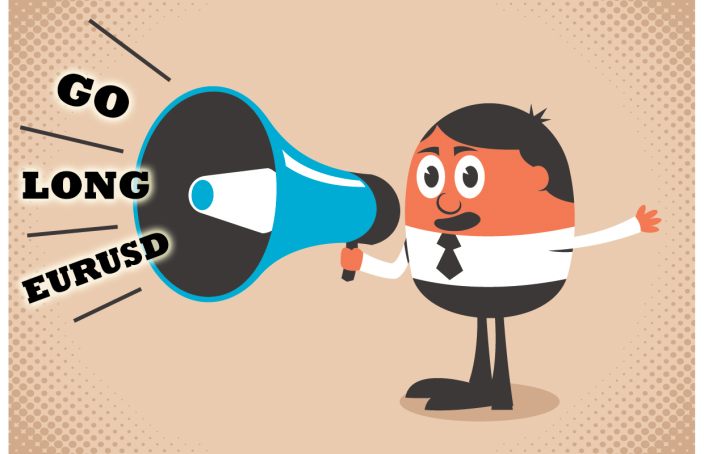 Below is a complete guide on starting a successful trading signals service. Some think that you should trade on a real account funded with at least $5,000 to be in a business of providing signals. In fact, funding a live account with this amount to sell your trading signals can quickly gain the trust of clients. But you can actually start with a demo account while improving your trading performance, the number of subscribers signed on to your channel is only a function of how successful your account is and how well it grows. That is how some people started their own trading signals service several years ago with no real money account. They were trading their demo account and they sell those trading signals to other currency traders. In fact, I did the same few years ago when I started trading signal service on my own. I could not afford a real money account so I just used demo account to send trading signals from. You can read full story in my book “How to Start Your Own Forex Signal Service” where I teach people how to start such business. Applied to you, you can eventually gain trust from clients by applying the concepts on this article. Focus on earning client’s trust by providing them high quality and profitable trades. Consider copying the signals to your real money account once you can afford it as that will make your service look more promising. Through this way, clients would stay with you for years as a proof that your signals are profitable. You could set up your own website or sell your trading signals on existing social trading networks. Social trading networks such as ZuluTrade and Tradeo allows signal providers to sell trade signals using demo accounts and traders has the discretion to follow these demo trade signals. There are thousands of people following demo accounts. Customers typically will expect that you will trade signals on a real account, but with a demo, it is very possible to run a signal trading business. However, even though your demo account has an outstanding trading performance, some traders are still skeptical and over-cautious. They still prefer to follow a live signal provider account because of its reliability and the fact that someone trading with actual money would be a lot more tactical than someone who isn’t. You could fund a live account for as low as $500 and you can still provide trading signals to clients with bigger accounts. There are even special trade copier software that will handle the adjustment of trade sizes between your client accounts if you choose not to use social trading networks like ZuluTrade. Special Note: A demo account and a live account will give you vastly different levels of emotional attachment. A demo account can be much easier to trade of course, but then again you may lose trust from your customers because you have ‘no skin in the game‘. You’ll want to use the one that works best for your situation overall, and if you trade live then make sure you are controlling your emotions. You don’t want to ‘flip out’ one day when positions go against you and then wipe out half your account, and half the accounts of your followers at the same time. 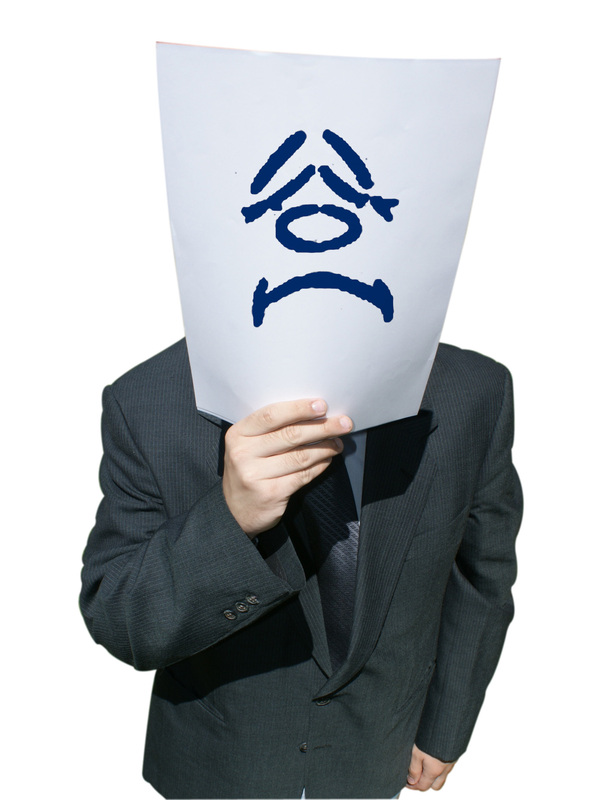 Do your best to keep your emotions under control, especially when trading someone else’s money. If you are already trading profitably in the Forex market, then you could simply attach the trade copier software to your account and start delivering the same trades to your customers. You can trade your account as you usually do and your trades will automatically be replicated to your clients’ accounts in less than a second. You can also take advantage of the skills of successful traders to provide trading signals to your business for payment. You can offer partnerships or hire several top signal providers from other social trading networks. Your signal providers will handle the trades and your job is to handle the signal delivery services. If your trade copier software can support multiple signal providers, your clients can diversify their trading portfolio by copying trades from several signal providers of your website. Partnership with another signal provider website to resell their trading signals under your brand name can also be a possible source of trading signals. However, it is a must to ask permissions to avoid future troubles which may damage your own business. You can also build an Expert Advisor according to your trading strategy or buy proven EAs which can generate consistently profitable signals. You can setup your master account on a VPS server and let your EA send signals 24 hours a day without failure. You can have a fully automated trading robot to provide signals without any human intervention or a semi-automated which needs some inputs to work correctly on a given market condition. Some traders are skeptical on copying trade signals from an EA. Some are willing to risk more on a manual signal provider than on an automated signal provider. 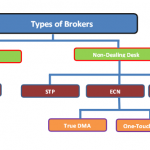 Trade copier software that can support multiple signal providers is the best option wherein customers can choose between several manual and automated traders. If you start signal business on your own it will be you who runs the party and the possibilities are endless. Newbie traders take a general view of the market from the perspective of how much they will gain, disregarding the inherent trading risk. That’s why they keep on searching for the trading system that will give them almost no losing trades. Most of your signal service subscribers are traders with little trading experience, and some with no trading experience whatsoever. These followers demand a maximum drawdown of the lowest percentage as possible, however unrealistic this may be in the real world. A large drawdown can possibly kill your business and your trading results, as you can see in this example here. If your equity curve is too smooth then it might appear too good to be true. Novice traders may fall for this, but more experienced investors will avoid it for sure. For me it indicates two things: a martingale or grid style trading system or that the trader is unable to accept a losing day. Sometimes it is better just to turn off the screen, cut the losses, accept it and go plant flowers in the garden and wait for another chance in the market. Sure, it requires very good mental skills. But systems that “hold and hope” will end up in the same way sooner or later. For me, this is a very risky approach for long-term trading. Traders are looking to invest to signal providers with consistently profitable trading performance and have the lowest trade drawdowns. Traders will favorably risk to trade with your signals if you have a maximum of 20 – 30 % drawdowns. However, drawdown depends on trading strategy. A swing trader can lose 400 – 500 pips in a trade but he can have the possibility to swing back to 200 – 400 or more pips compared to a scalper looking to profit from just few pips but have a drawdown of more than 25 – 40%. You can avoid large drawdowns by keeping your strategy to a low risk however, this means less monthly gain. To best manage trade drawdowns, aim to provide quality signals over quantity. Traders will most likely follow a signal provider with 5 trades per day than someone who provides over 20 trades per day. Over-trading is a number one sign of unprofessionalism and having no objective trading plan. Money management is very important and experienced traders know that losses and drawdowns are part of profitable trading. No matter what system you use to provide signals, you will eventually have a losing trade. Thus, you should only risk a small percentage of your trading account so that you can survive the losing streaks. Most trading specialists preach that your risk per trade must be kept at most 2% of your account balance. That is, if you start with $10000, your single trade losses should not go beyond $200 on any given trade. You wouldn’t expect to make a lot of money with a very small account and at the same time have a very minimal drawdown. Capital preservation is essential for a long-term success. The table below illustrates 10 successive losing trades of two traders using 2% risk and 10% risk model. Together with drawdowns, traders looking to invest in your trading signals are interested in potential monthly gains. Provide only the best service to your clients by demanding trading signal sources to have at least 40% annual profitability and a maximum drawdown of 30%. Your trading system’s equity curve mirrors how much money your strategy is making. It has ups and downs, and hopefully your equity curve has more ups than downs. The goal for your signals service is to create a smooth equity curve which gradually increases from left to right. A natural tendency among traders who are looking for a signals service is to avoid an ugly equity curve. Thus, you should be consistent and disciplined in following your trading system to maintain how your equity curve grows. Again though, there is no such thing as perfection so just always do your best and if you are profitable at the end of the year then you are profitable at the end of the year! If your trading has proven consistent and profitable, it’s possible to charge your subscribers for a monthly subscription fee. The usual monthly subscription fee ranges from $25 – $100 – $200 per customer. Having just 100 subscribers could generate close to $10,000 monthly income. You must also consider forex trading taxation laws in other countries. Traders from these countries may be left with very little profits after your subscription fee and taxes are deducted from their trading profits. Countries like the United States of America impose taxes on forex trading profits, wherein U.S. traders who are trading with US brokerage firms are charged up to 60% of taxes on total trade incomes. Traders of a U.S. brokerage firm that are not U.S residents or citizens do not have to pay any taxes on foreign exchange profit. Some other brokers do not accept traders from U.S.A., Cuba, Nigeria, Lebanon, North Korea, Iran, Iraq, and Afghanistan because of forex trading taxation laws. These are not your responsibility as a signal provider, but it helps you to understand where your clients are coming from and what they have to deal with. And if you happen to be a US Citizen yourself and are going to offer signal services, then you have much more to deal with to register and follow CFTC/government regulations. Although you can charge a monthly subscription fee of any amount, you should consider the profitability of your system and the minimum deposit amount required. You must clarify to your clients the average monthly return and the minimum deposit amount that could cover up all their expenses and can earn greater profit. There is no point to invest a $1,000 in your service if you charge a monthly fee of $100 for a 10% average monthly return. If you have any questions or comments about these ideas then please put them in as a comment below. I’d like very much to hear what you think about these ideas here. Oops… Wrong Forex Move! I Just Killed My Trading Account! Brief but comprehensive sum up of your book (that i have just finished and liked a lot). Once you have a profitable system, the big issue is marketing, IMO. In your book you mentioned several marketing tactics, but would you mind to share here also some URL of the sites/forum where potential clients for a Forex copier hang around? Hi UC, thanks for your comment. Really great question/request. Give me some time and I will write a blog post about how you can find potential customers. There is no simple advise on how to find customers, this requires putting in some work, or I would say lots of work. So I will do my best to write as much ideas as I have in the new blog post in July. 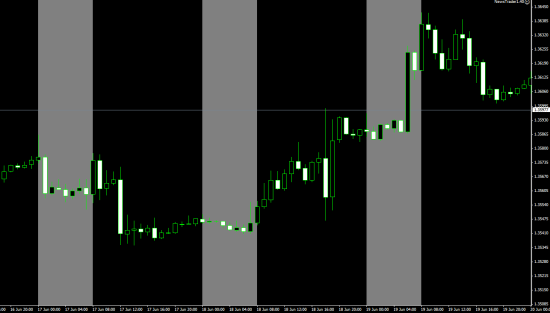 I have also a forex trading signal business, But in my business have not sufficient customers. So I think to offer our clients no deposit forex bonus. Is it good Idea??? Dear Rechard, it sounds a good idea to test, but in my opinion it would mostly benefit your current customers who think to leave your service. But anyway it us worth testing on everyone to see if this helps. Do you have enough visitors on your site, or it is just an issue to convert Visitors into customer? I GUESS that you need around 1000 impressions for a purchase. If you have traffic, I agree with Rimantas: if a visitor to your site it is not willing to pay a small amount to try, it is unlikely to pay you the full amount after the trial. If you do not have enough traffic, I would eventually consider to create some ads, a landing page and get some paid traffic, if you can afford to pay for traffic and test the whole system. I have been reading your blogs for a long a time and really enjoy reading them. I have been trading forex for a little over 3yrs, and after being profitable with real money, i pitched the idea to some people and turned into a PAMM. I also have signal provider portfolio with ZuluTrade and Tradency’s Mirror Trader platform, and currently two of my strategies are listed in the top 10 providers for Mirror Trader platform. I am really interested in the idea of starting out a subscription based forex signal service because the commissions you get from ZuluTrade and Mirror Trader are very small and requires tremendous amount of subscribers to garner decent commission. I am thinking of a forex signal service which sends emails/SMS, provides 7 days free trial and then monthly fee based subscriptions. But I am not sure how and where to start? I would love to get your input on this. nice to meet you. I can definitely help you creating such signal service. As about email signals there is no problem and even Remote Trade Copier can do this for you. But it gets more difficult with SMS messages. I would need to create additional plugin which would cost extra. Contact me about that. Really nice to know that you are on Zulutrade and Tradency. Would you share a link to your profile with us? The issue is not getting customers. You can have all the customers you want if you have the best trade signal. Where is the best signal….. I will trade that information with getting customers. Jeck, thanks for your comment. Some have issue in not getting customers, some in not having a trading strategy. Others have both issues. There is no such thing as a “best signal”, but there are a lot of good signals and trading strategies. It’s not easy to get them, and they need testing, etc, but it’s possible to create one even yourself. We will be teaching this in Autotrading Academy later this year. As about “I will trade that information with getting customers”, contact me here as I have something that you might like. Thanks for the idea to try Tradeo. I was able to start gaining a following on tradeo. With a live account on tradeo, I’m able to do my regular trading and earn commissions using their Leader’s Program. Dear Amy, glad I could help. Interesting and helpfull article. I’d like to know if there is a way to identify if clients are replicating the signal trade to other accounts? Marcelo, so far there’s no way to know if someone is copying your trades to other accounts or not. 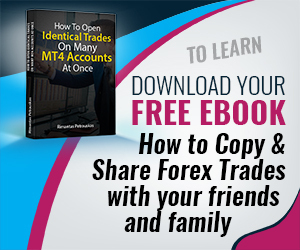 Basically, if you give your MT4 password (main or investor) to anyone then there’s a chance they are copying the trades. But you’ll never know. The only way to be sure no one is copying your trades is to NOT give your password to anyone. 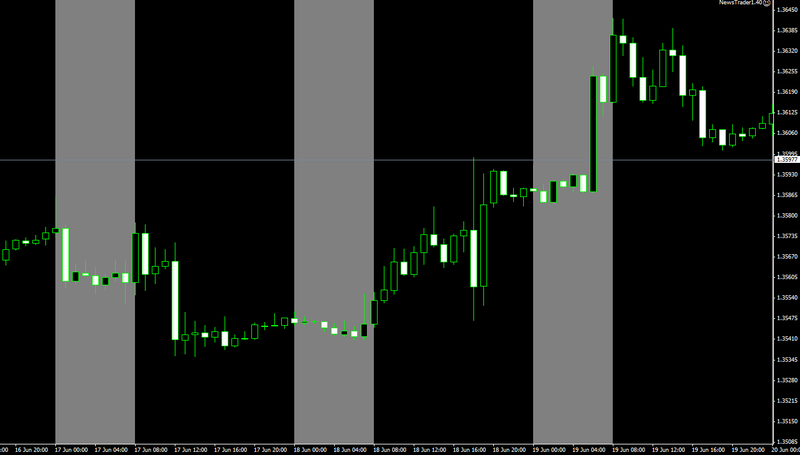 I am a forex trader since 8 years and recently I start to consider the opportunity to become a signal provider. I made an account to mql5.com and already have subscribers. Can you recommend me other sites where I can register like a signal provider? Good to know you’re trying to sell signals, but you should read this article on http://www.signalmagician.com before start selling trading signals online. Does copy trading work with an EA and does the trade copying function even if the origianl MT4 account has an EA locked to that account? Yes, Neel. Copy trading with Signal Magician works with another EA and even if your EA is locked to the account. I have question that you can possibly answer. I want to start up a signal provider company, but I don’t want to do it the traditional way. I want to charge a 20% commission fee off of every trade that the signal receiver makes. So say I have 10 subscribers. All 10 subscribers make a combined profit of $10k during the week with no losses. I send each subscriber an invoice for 20% commission fee for each profitable trade that they made using our signal. They need to pay the invoice every week and if they don’t we will stop sending them new signals. So I make $2,000 for that week off of 10 subscribers with very small accounts. Are you aware of the legal ramifications for this type of income scheme? Has anyone asked you this type of question before? Thanks. This blog total information is really awesome. Thanks for this information.